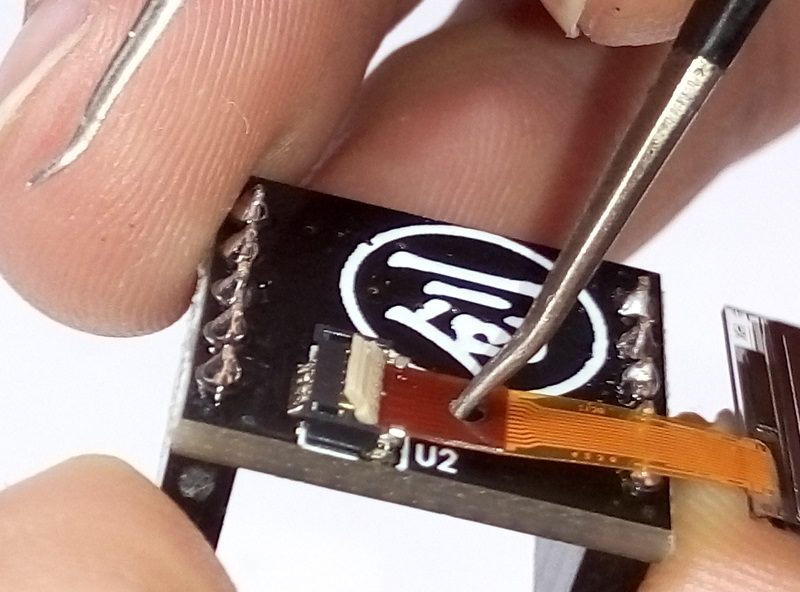 This is a mini 0.5 inch OLED display, only 5'', which has the same size of a grown-up's fingernail. This small display has 450cd/m2 screen brightness with extremely high contrast and readability. It contains 60 x 32 independent white OLED pixels and each pixel can be controlled by the driver chip separately. It means you can display any images and words on the screen. And the spontaneous light OLED display does not require a backlight, which greatly reduces the power consumption. 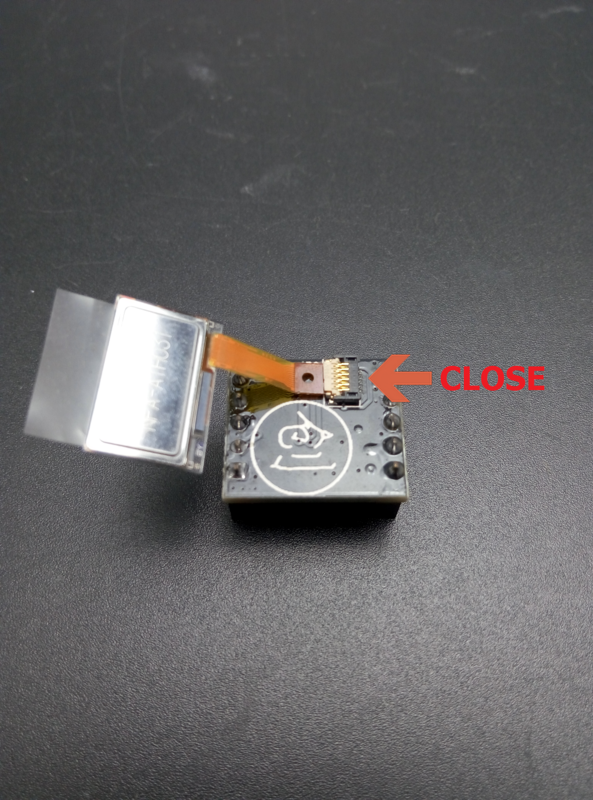 First we need Assembly the OLED PCB and display, Be careful in this process, the display connector is thin and fine. Make the display cable into the connector, take care not to invert !! Please be sure to use the tweezers or pen inserted into the the small hole on the top of the liquid crystal! Don't use hand! Don't use hand! Don't use hand! Important things need to be repeated for 3 times! the test by hand in hand, We've broken three pieces direct use hand push when we started test it. This is the lesson of blood. ATTENTION：Please Gently! Gently! Gently! Push the LCD screen when start, the two iron with floor can just keep a screen cable inserted in the gap. Insert it from this gap, when encounter resistance, Don't force! Don't force! Don't force!At this time use tweezers or other sharp objects into the small hole，use a little force and keep this force until you feel that you have push it on the top, when you feel like it is not moving. Don't force! Don't force! Don't force! Then the last thing you need to do is to pull out the tweezer or other objects. Buckle the OLED PCB Board connector. OK, The two things had connected together. Congratulations! You have completed the first step. 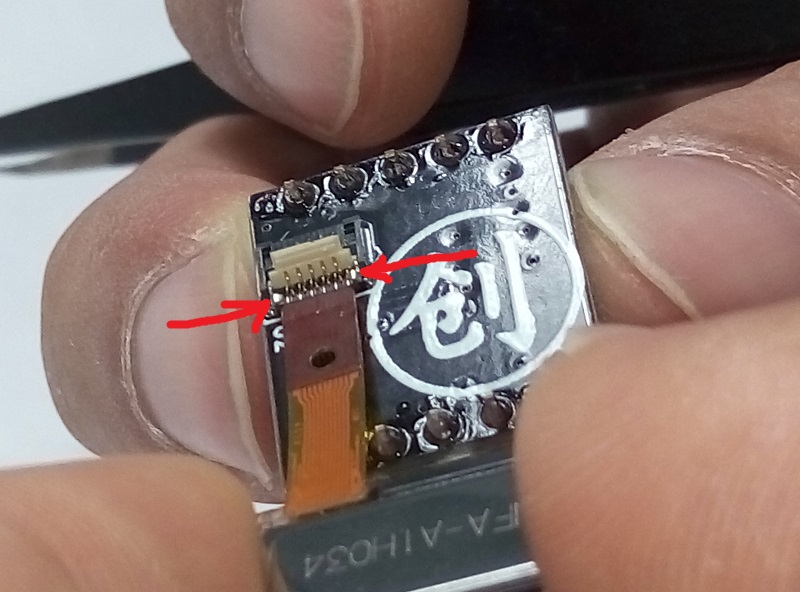 This step, it will requires you to solder the Pins on the PCB holes, please be careful with when you solder the pins. 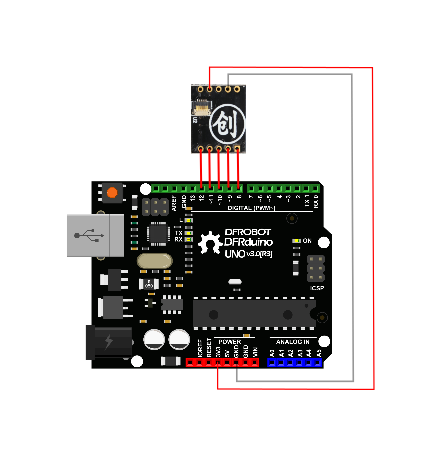 Connect the module to DFRduino according to the following connection diagram. Note: Do not mix 3.3V and GND. Finally, Connect your USB cable to your PC. OK, all the hardware step we need has been done. And then we need to open the ARDUINO IDE, copy the following code and put it in the IDE windows. Select the right serial port and board type (Arduino UNO) in the menu, click "download" button. 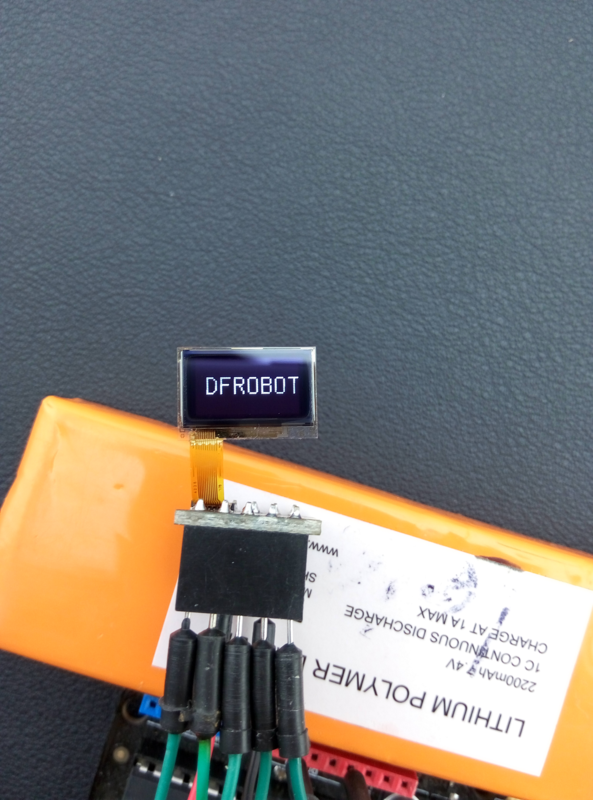 Any question and more cool ideas to share, please visit DFRobot Forum. 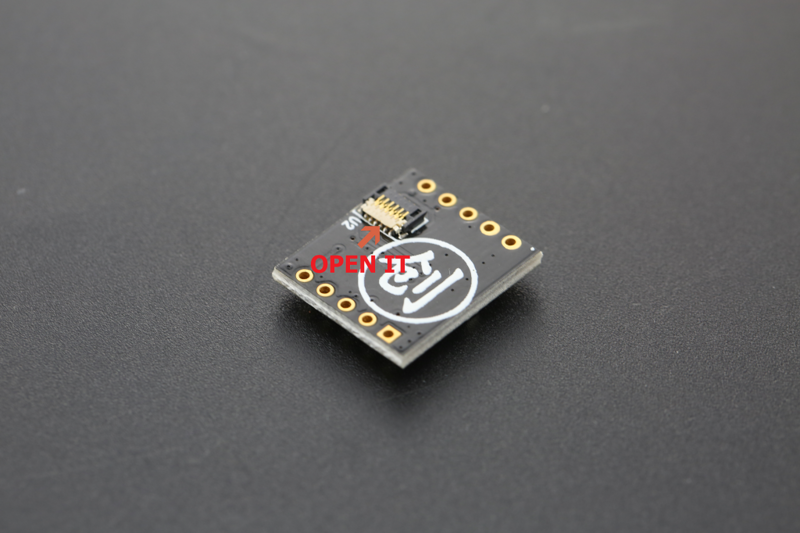 Get from 60x32 0.5" OLED Display for Arduino or DFRobot Distributor.